The ‘Traditional Blue’ design below respects New Zealand’s rich history, but also gives the country a strong new identity, through the iconic colour palette / scheme and recognisable symbolism. I wanted to achieve a respectful evolution of the current #NZflag, focusing / building on Kiwis strong relationship / connection with the natural environment, (The Southern Hemisphere / world), while also ensuring the design includes very strong and meaningful historical, cultural and geographic symbolism / references. Most of all, I wanted the new flag to define New Zealand’s unique story / identity / position in the world. ‘The Land Of The Long White Cloud’ (Traditional Blue) references The Southern Cross, The stars / anchor that guided Māori and early European voyagers to New Zealand. The Pacific Ocean is represented by the deep Blue. The Pacific Ring Of Fire is represented by the Red colour and is approximately on the same angle that The Ring Of Fire passes through New Zealand. ‘The Land Of The Long White Cloud’ / Silver Fern element is represented by white, which is a simplified version of the Silver Fern, as I wanted to ensure that, 1, it ticked the box that it ‘could be easily drawn by a child from memory’, and 2, that it would rescale when drastically rescaled in size, (thinking of digital adaptation). The resulting design – A simple, unique, abstract flag design, that reflects New Zealand’s creative, innovative spirit. The reason I came back to the environment, / natural world is not only due to the impact that it has had on every New Zealander, but specifically because each of these environmental / natural world elements within the design are ‘timeless’ and are inclusive to all New Zealanders – no matter of their ethnic background. The Southern Cross, The Pacific Ocean, The Ring Of Fire, The North and South Islands represented by The Land Of The Long White Cloud / simplified Silver Fern are 100% New Zealand. Each design element has touched the lives / touches the lives / will continue touching the lives with each and every New Zealander past, present and future – truly timeless, truly inclusive. A step-by-step visual showing how ‘Traditional blue’ evolved from The Current New Zealand & National Maori flags. [*Please note, both the current New Zealand flag and The National Maori flag colour palettes have been referenced in the ‘Traditional Blue’ design ]. Animation – Is that the New Zealand or Australian flag? A considered evolution with a strong unique NZ identity. The Land Of The Long White Cloud ‘Traditional Blue’ – Flying in a south-westerly. The Land Of The Long White Cloud ‘Traditional Blue’ – Commemorating ANZAC Day. [Original photo]. The ‘Traditional Blue’ NZ Flag – Commemorating ANZAC Day. A considered evolution with a strong individual identity. The Land Of The Long White Cloud ‘Traditional Blue’ – Supporting The All Blacks. [Original photo]. 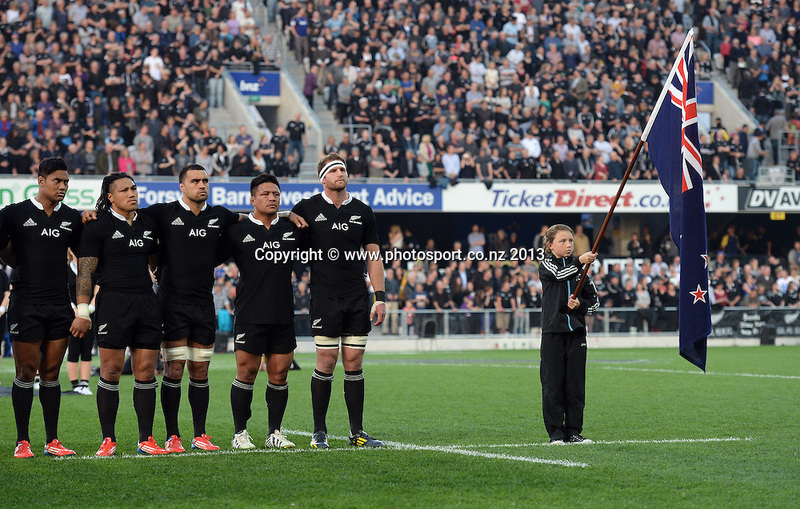 The ‘Traditional Blue’ NZ Flag supporting the All Blacks – A considered evolution with a strong identity. The Land Of The Long White Cloud ‘Traditional Blue’ – Flying in London, UK. [Original photo]. 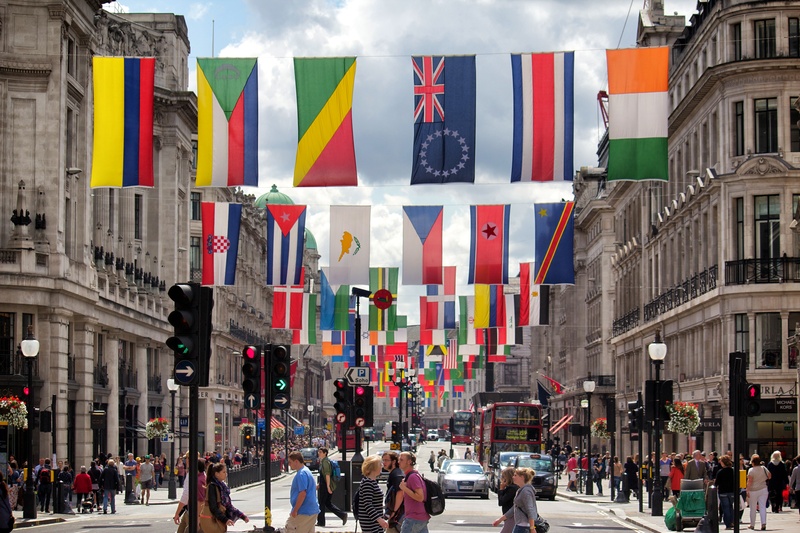 The ‘Traditional Blue’ NZ Flag flying in London. A considered evolution with a strong individual identity. New Zealand deserves a unique, inclusive, original, innovative, cool flag! Land of the long white cloud – A unique, inclusive, original, innovative, cool flag! I hope my proposed New Zealand flag solution is both respectful and engaging – thank you for taking the time to read this blog. Love your design-the Fern design that lost the referendum was a mess-the fern reads very poorly from a distance. My only comment is that perhaps the red curve should have been edged both sides in white. Red against Dark blue does not read as well as against white-would also have echoed the UJ with the white fimbriated red curve. Thanks very much Geoff, I sincerely appreciate your kind words. I did try an iteration with both sides of the red curve, (Pacific ring of fire), in white – it just didn’t rescale, (to a small size), as well as I would of liked to be honest – particularly when viewed on a mobile. Many thanks again Geoff. Interesting thinking & design. One element that no-one seems to address, tho’, is the Southern Cross. All depictions to date reference a crucifix… Proportionally, what percentage of the time when visible is the S. Cross “vertical” ? Short answer, very small… Crucifix ?? Always… It needs an angle… any angle! !